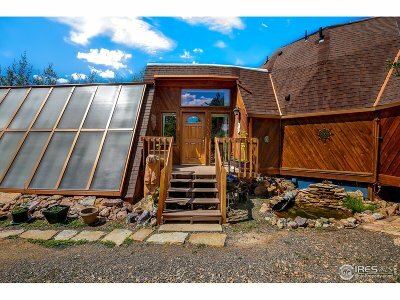 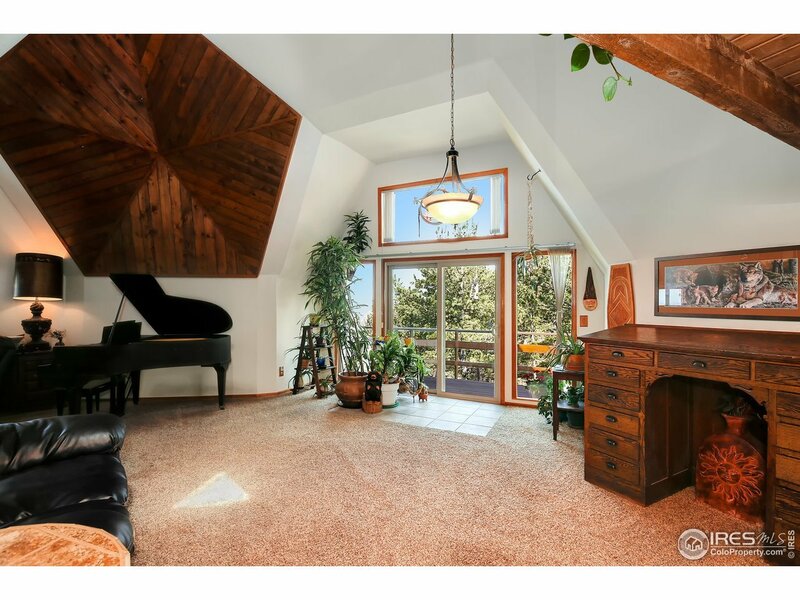 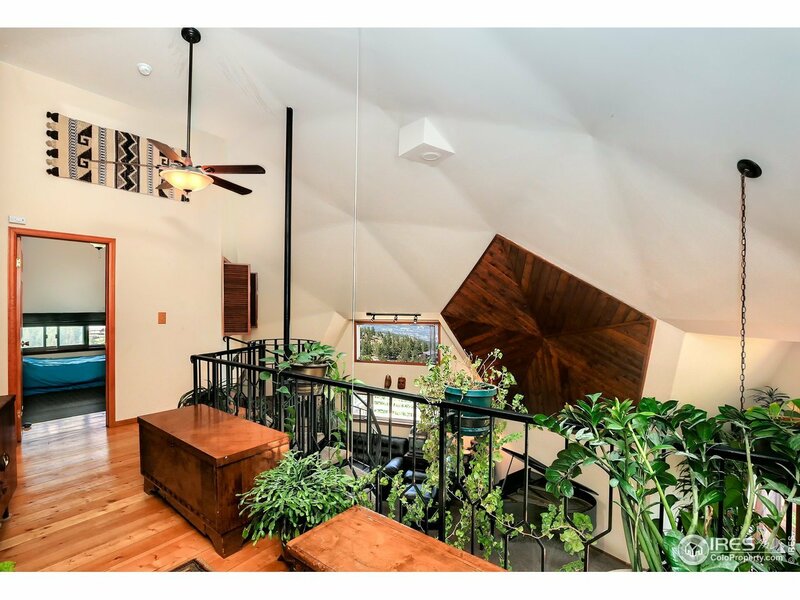 Unique, geodesic dome roofed home in Coal Creek Canyon with mountain views from every window. 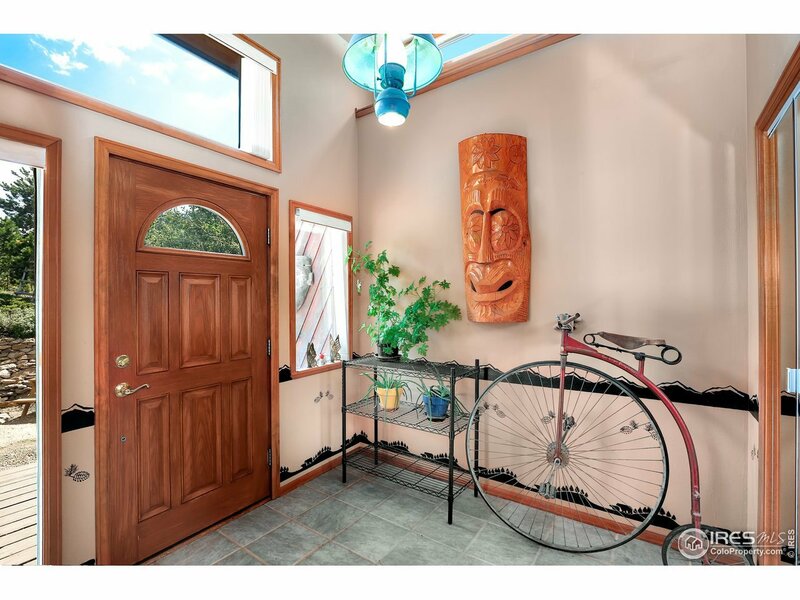 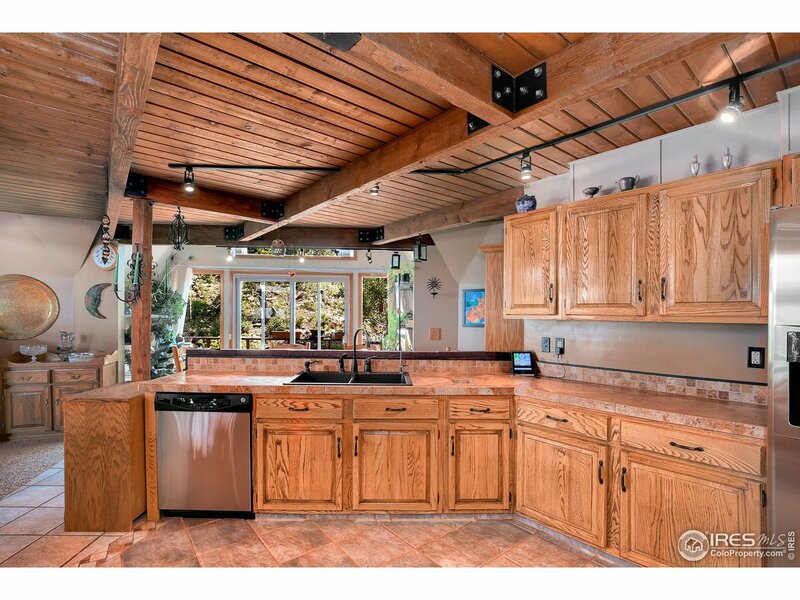 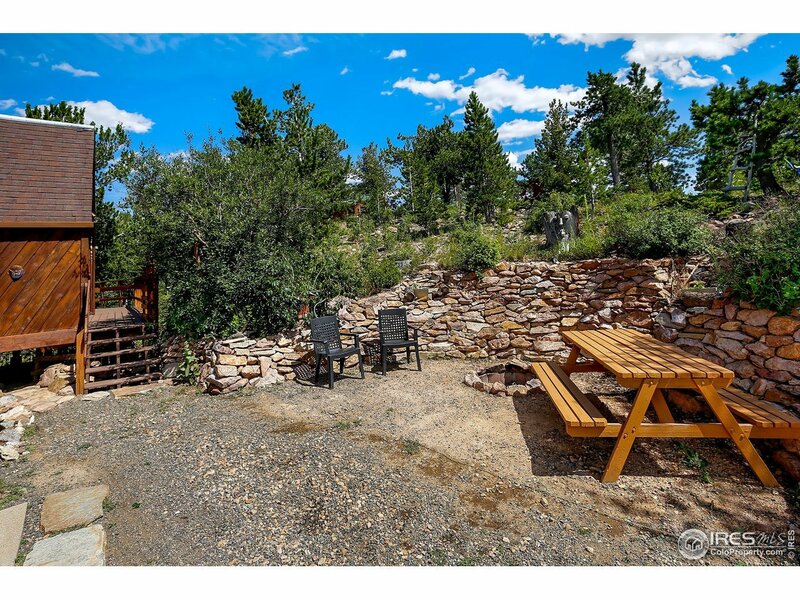 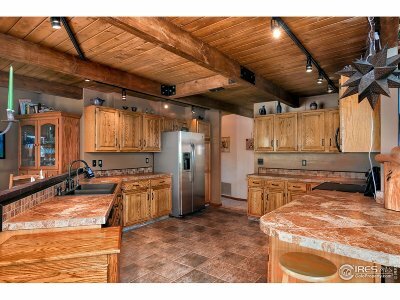 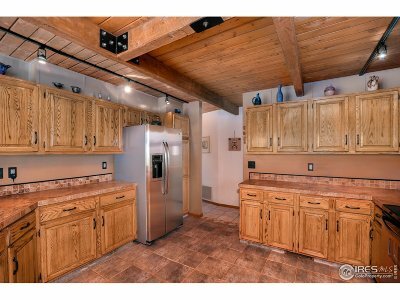 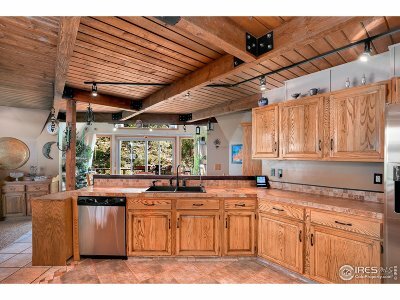 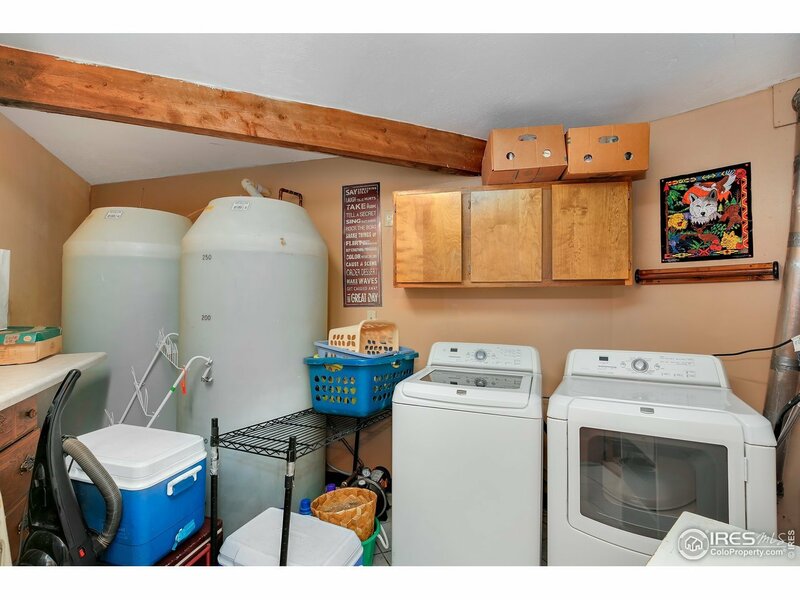 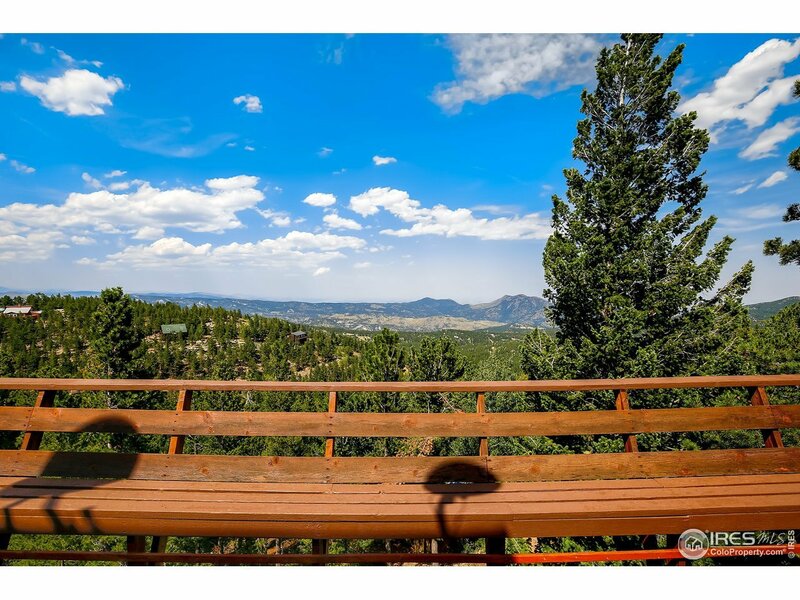 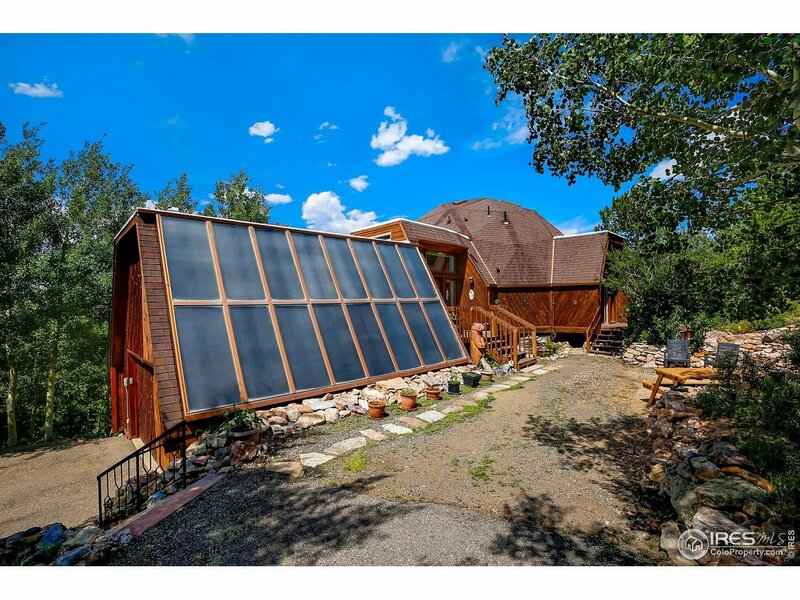 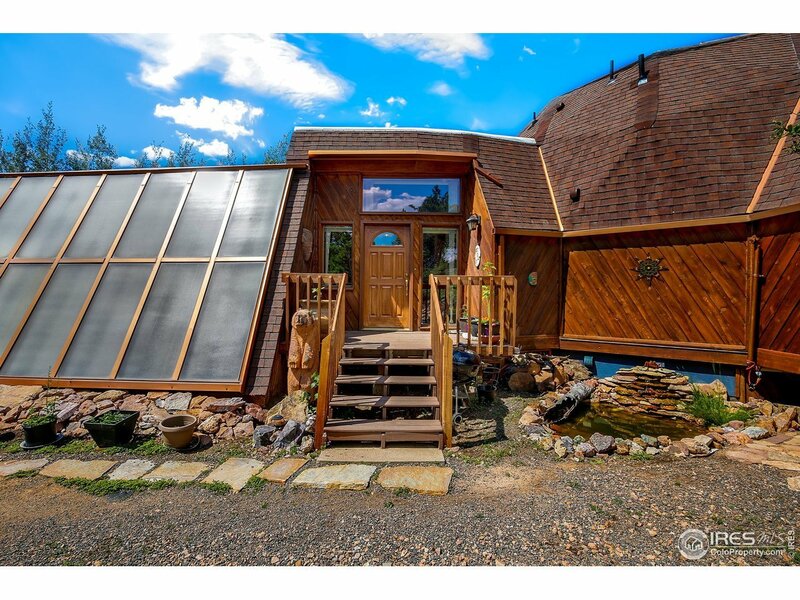 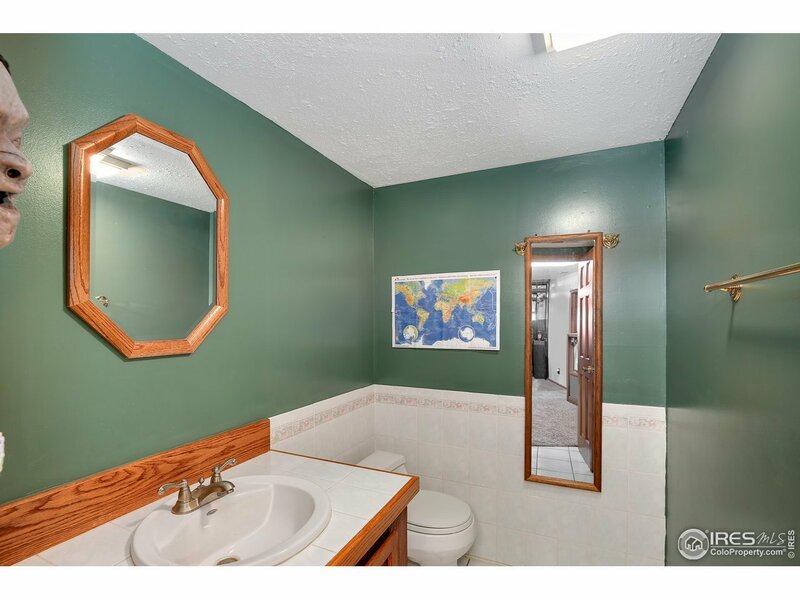 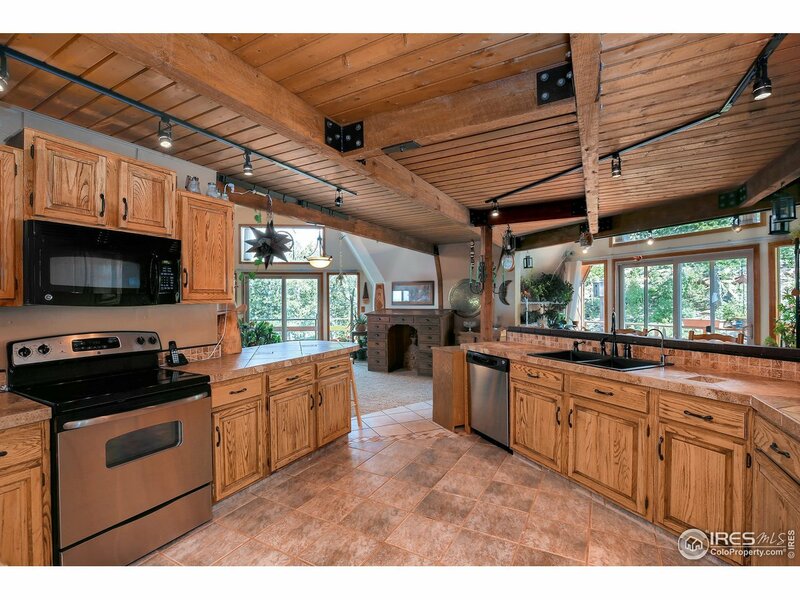 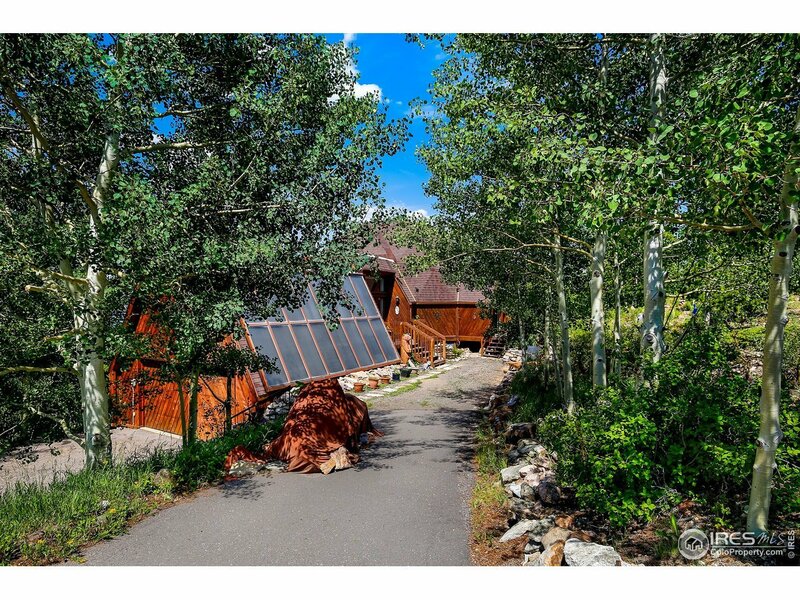 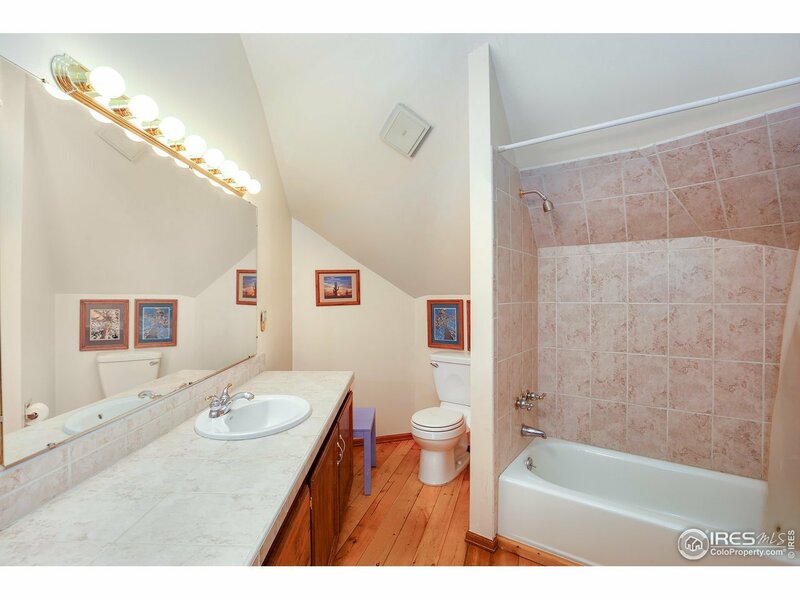 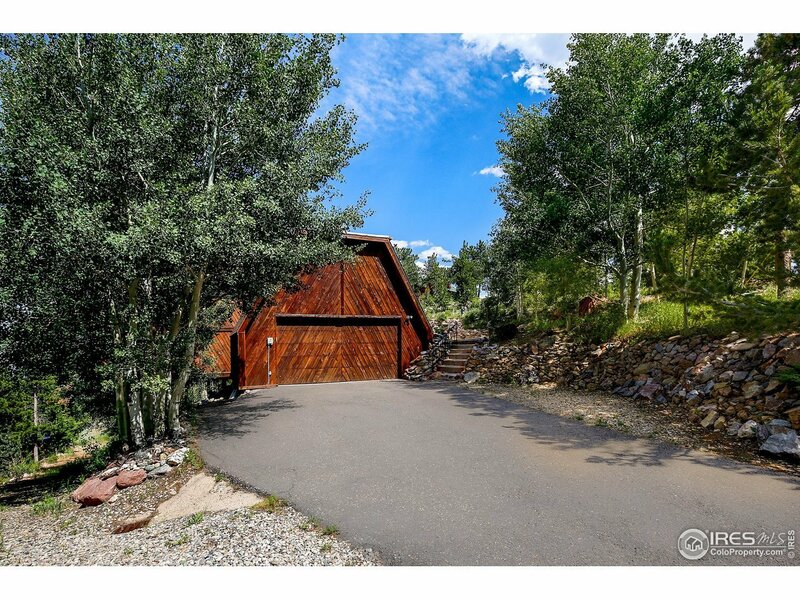 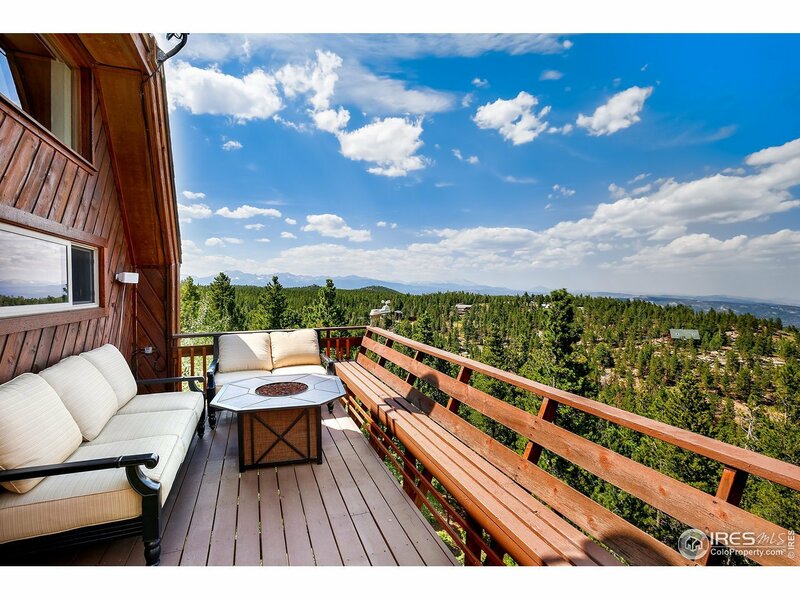 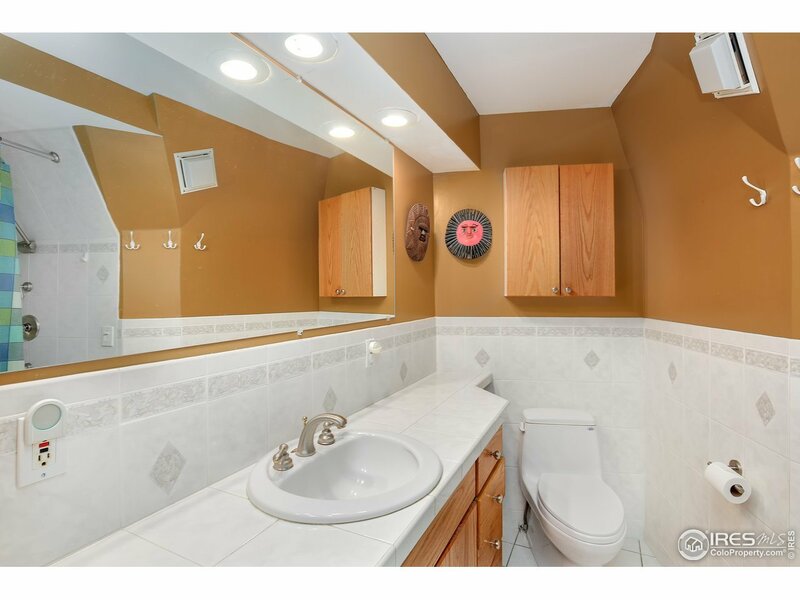 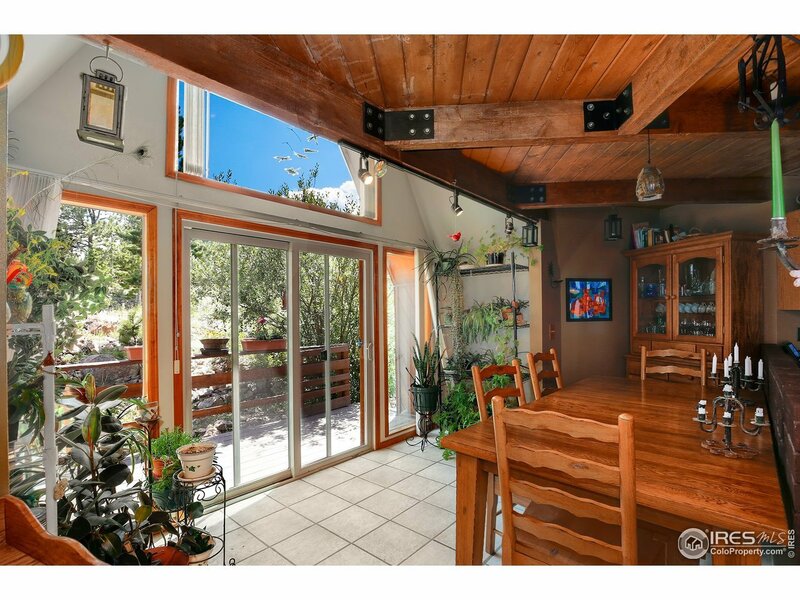 This home features wood floors, multiple decks, green passive solar heating and a pellet stove. 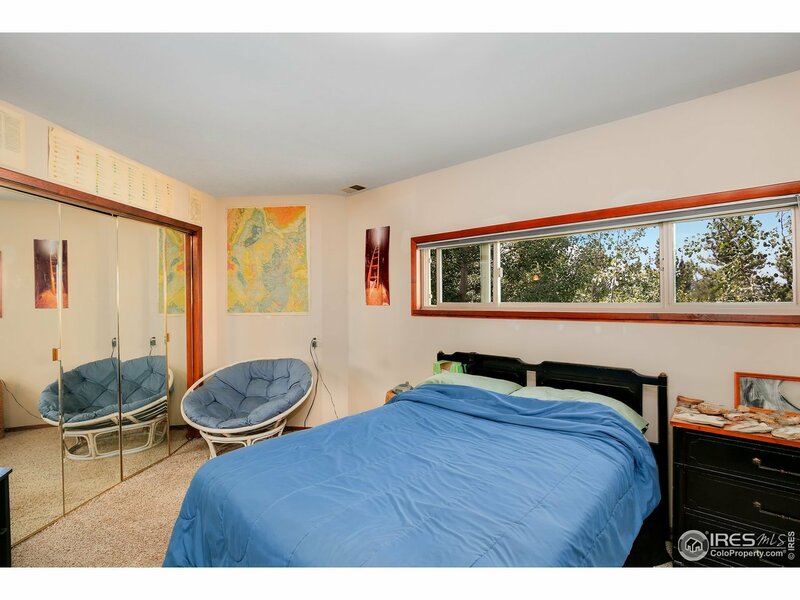 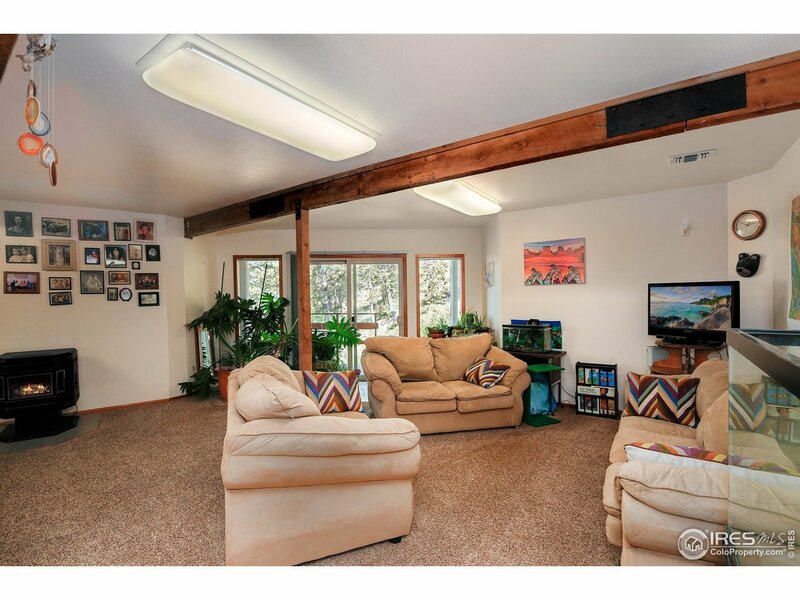 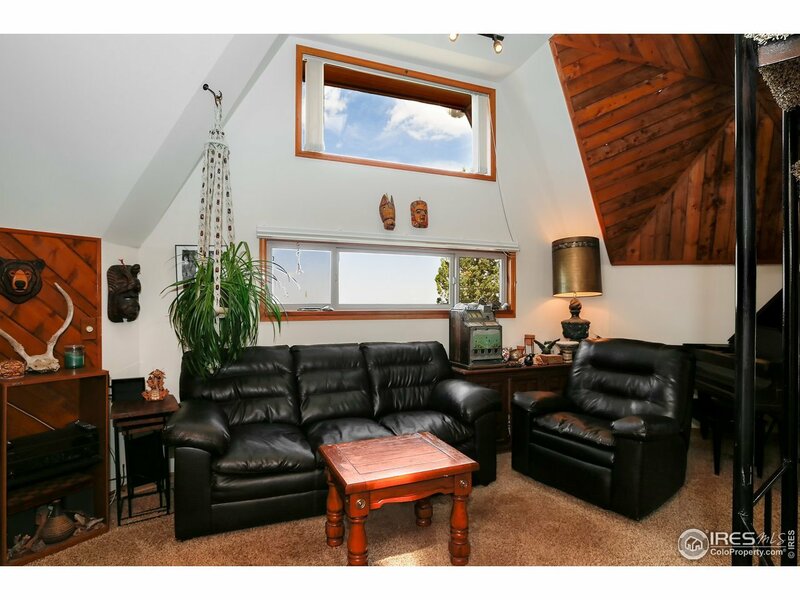 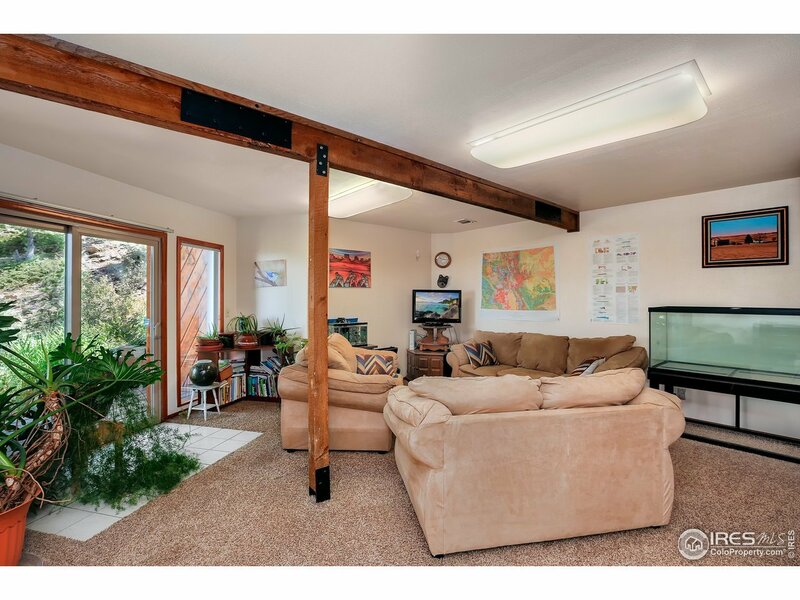 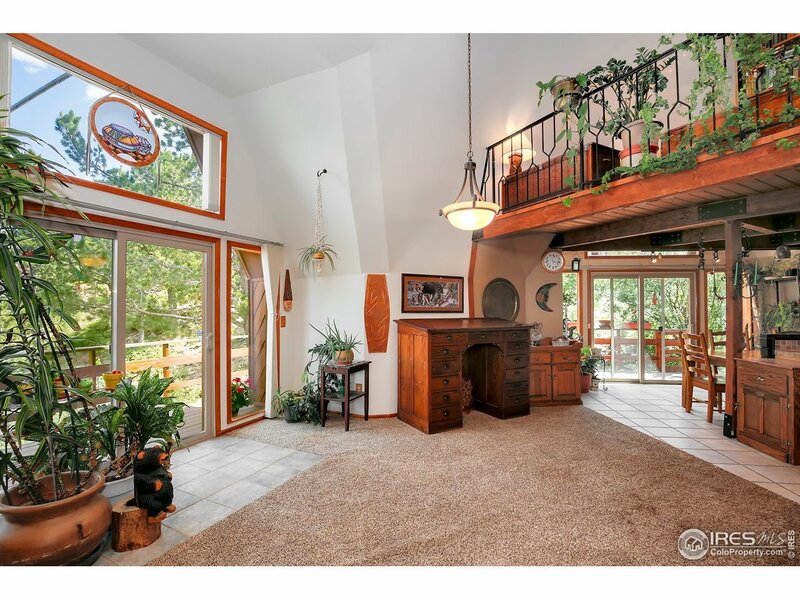 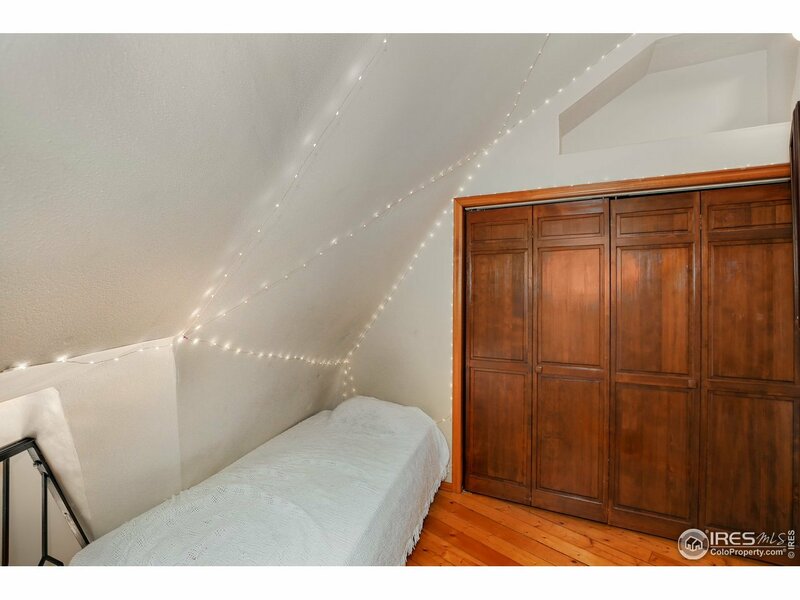 Bright main floor living room has soaring 20+ ft ceilings, plu windows and skylights. 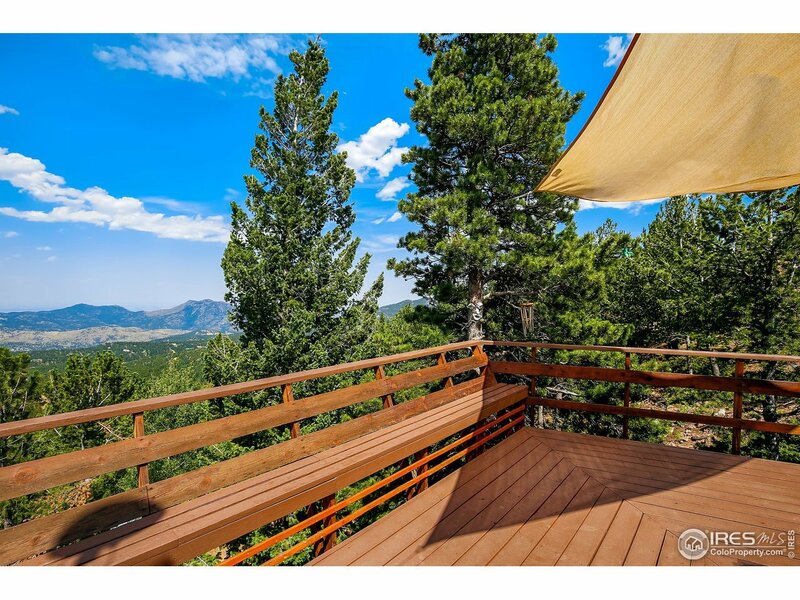 Wrap-around decks provide 180-degree views. 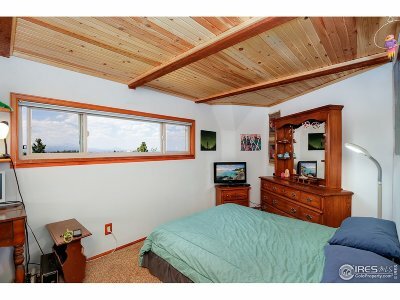 The roof has been certified & has a 5-year guarantee. 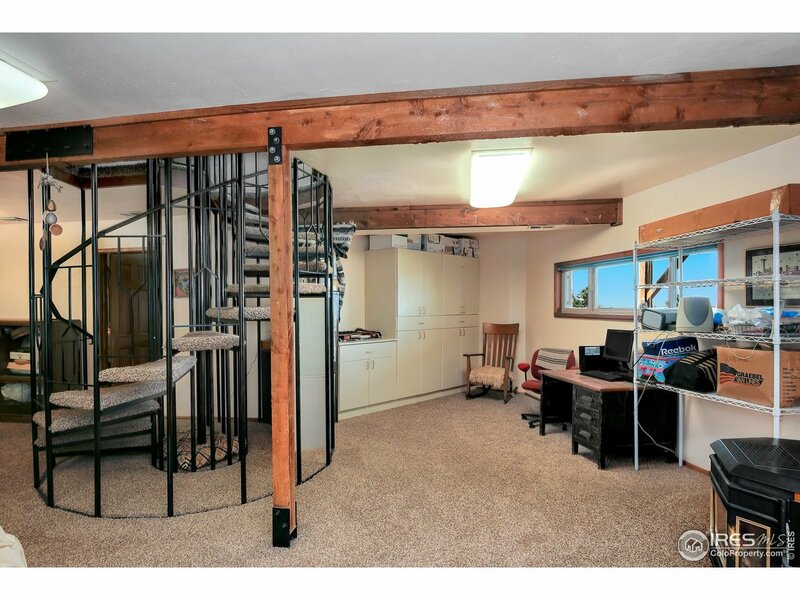 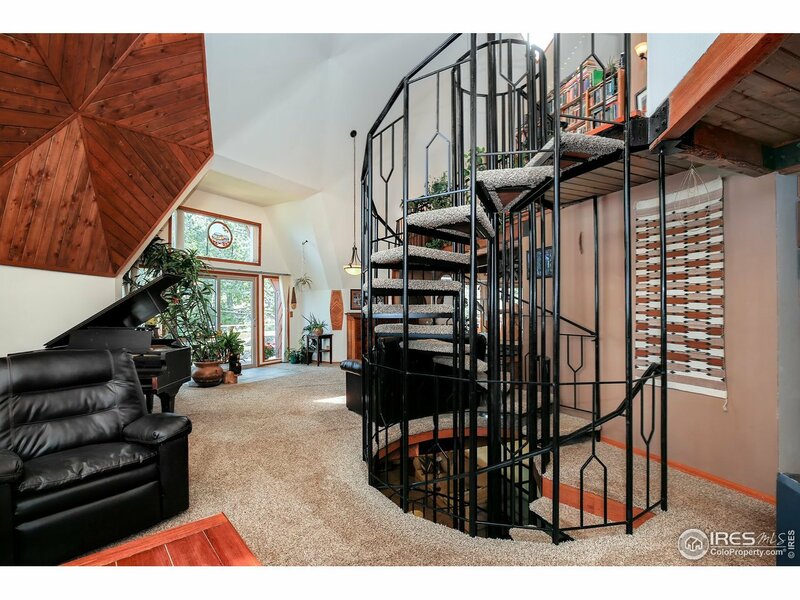 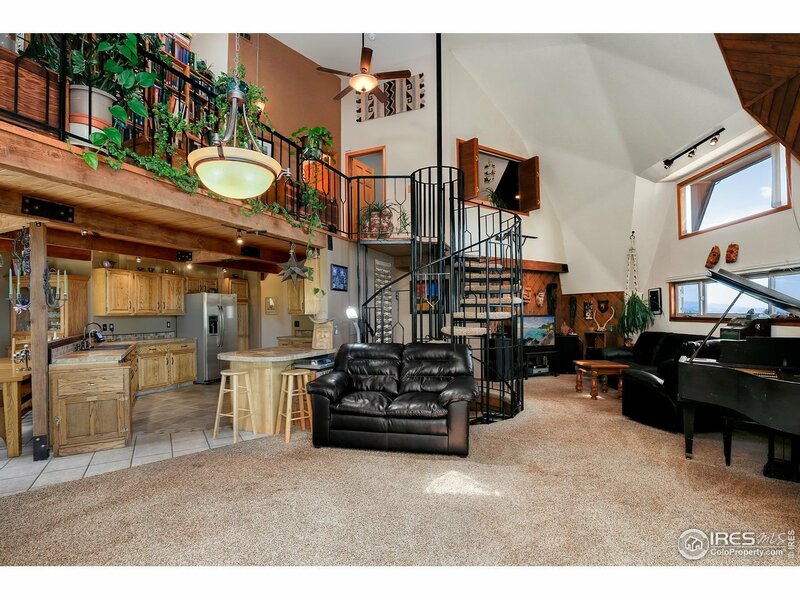 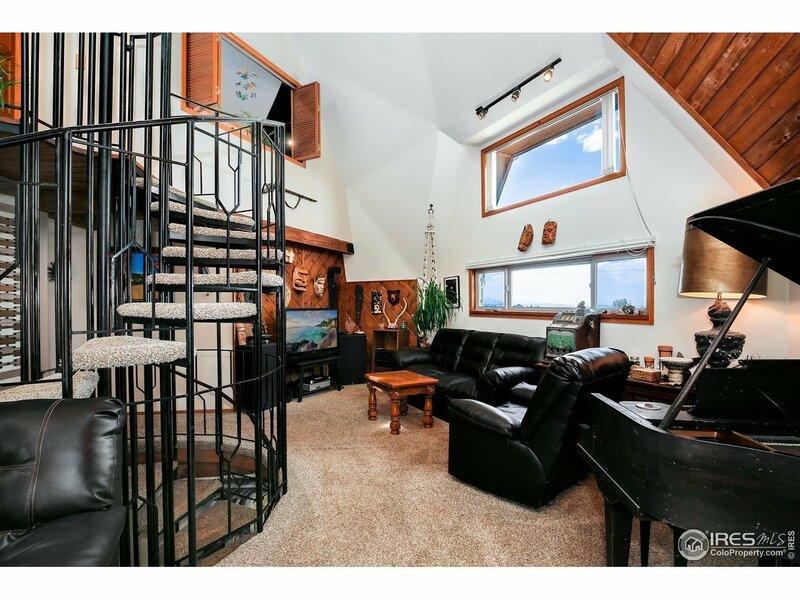 The iron spiral staircase is the showpiece of this house - it even has a fireman&apos;s pole so you can slide from top to bottom!